The Superfood Powder Questionnaire: Uses, Shortcomings, and Are They The Only Supplement You Need? More questions about superfood powders based on questions I’ve received recently. Can You Take A Multivitamin With A Greens Powder? Yes. In fact, you can probably take any supplement you want with a greens powder. One of their benefits is that they’re very benign and have a low chance of causing unintended consequences. One of the best ways to illustrate this point is to look at the liability insurance rates for different supplements. Weight loss stuff that lifts your heart rate up to 120 bpm or sports performance stuff tend to be sky high, because if someone uses it a lot there really is a chance you could do harm to yourself. It’s all but impossible to do serious harm with a greens powder provided that you don’t have any allergies to the ingredients. Is It Advisable To Take A Vitamin With A Greens Powder? In my opinion it’s not necessary, but it is true that greens powders all by themselves can’t provide all the nutrients you’d need. If you’re curious about where to go further with multivitamins then I’d recommend reading my guides which talk about the differences between whole foods and synthetic vitamins and which brands are the best. No, not really. In my opinion you shouldn’t confuse greens powders like Incredible Greens, Green Vibrance or Boku with whole foods meal replacement powders like Vega One, Garden of Life Raw Meal, or Amazing Meal. The difference between the two types of products is that greens powders are just that….condensed greens. Whereas meal replacement powders try to expand into all the major macronutrient groups. In addition to greens they’ll also contain protein, fatty acids, fiber, and usually some fruits and herbs. A greens powder will typically have between 15-40 calories per serving whereas a meal replacement powder will have somewhere between 150-300. When it comes to meal replacement powders I think Vega One and Garden of Life are excellent choices. Can You Rely On A Greens Powder to Provide All Your Nutrients? Greens powders are very nutritious, and in my opinion are the first and possibly only supplement you’d need to take (if you need to take any at all). Getting those nutrients is important for a great amount of people and it’s a good idea to take something else in addition to a greens powder if you need them. Is Drinking A Greens Powder the Same Thing As Juicing? Not quite. Drinking your greens through fresh juice and drinking your greens through a greens powder are sort of like ying and yang. The one will always be fresher and hence more nutritionally potent, and ought to be what you should strive for whenever possible. I’ve written about this before. Using a greens powder is a good compliment to fresh juicing, but it shouldn’t be viewed as an absolute substitute. Powders are not the same as fresh, no matter how much care you take in the manufacturing process. 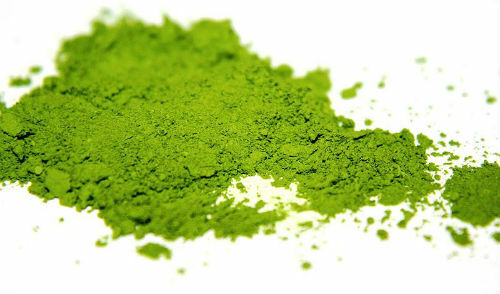 However, drinking a green powder is a decent analogue to fresh green juice if you have no other alternatives. They also tend to contain a variety of ingredients that you couldn’t typically include in your own drinks, so using one is a nice way to “fan out” the nutrients you get when juicing. Next Post Probiotic Supplements: Worth Buying Or Not? Fix the very obvious word misuse in the second paragraph. As a reader, I would question everything further in the article. Absolutely agree with this. It’s called a ‘supplement’ for a reason. Greens supplements provide amazing benefits, but by themselves cannot give you all the nutrition you need. The biggest problem with supplements is often not their substance, but the stupid claims that come attached with. I’m looking into becoming a vegan. A channel I follow on YouTube Leeor Alexandra says she gets her B12 from the Garden of Life Vegan Green Superfood Powder. Her YouTube video is here. Would you agree that I can get B12 from that particular powder? There is no true source of vegan B12, and vegan supplements that have it are fortified with it from a source that’s similar to what you’d find in a multivitamin.